Gurtam has always strived to be of value. Especially when this value defines business safety, expense reduction and saving of people’s lives by means of enabling the businesses all over the world. Yet, no matter how long you've been in the business - there’s always more to aspire. According to the analytical report of Berg Insight market research firm Wialon has been recognized as the leading GPS tracking and fleet management system in Russia and the CIS in 2013, 2014 and 2015, bringing us 36% the market share in FMS segment. Yet, sky is the limit, and we’re determined to strengthen Wialon presence on a larger scale. 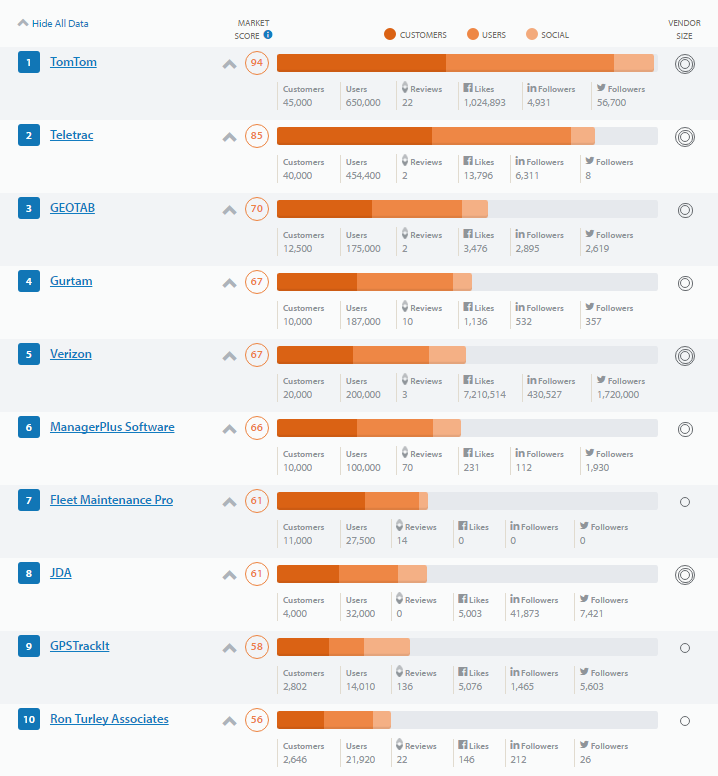 Last week Capterra – a large online directory of business software vendors, headquartered in the US (Arlington) – has updated its TOP-20 most popular fleet management software developers in 2016. 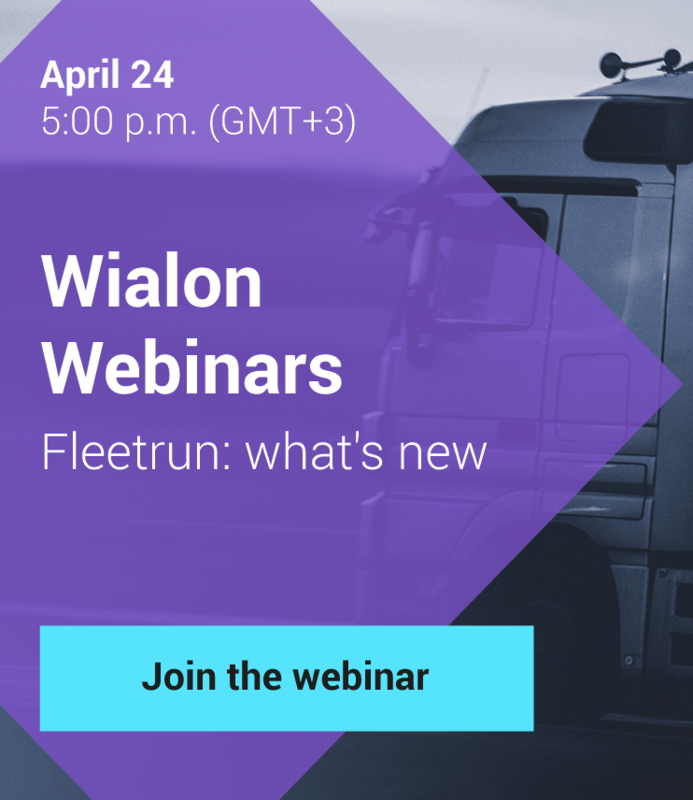 And we absolutely love that Wialon was rated the 4th among the most popular fleet management systems in the world, up from the 13th position last year and 18th position back in 2014. The rankings combine three measures of overall popularity: customer base, number of users, and online presence. With some 10,000+ customers, 180,000+ users, and an online presence that includes nearly 2000 followers, Wialon took the 4th place in the rating, leaving behind such key market players as Verizon, Omnitracs and Trimble. Yet the rank does not confer privilege or give power – it imposes responsibility. Therefore Gurtam is determined to work twice harder next year to bring customers the ultimate GPS tracking solutions. And as a result, we hope next year Wialon will be among TOP 3 best fleet management software in Capterra rating since there's no luck in business. There's only drive, determination, and more drive. Gurtam partners global rating. Who is in? Read about telematics and IoT, Wialon and flespi development, case-studies, hardware integration, and more in our monthly digest. Gurtam partner sharing experience with the community. At TelematiX, we will award the most rapidly growing technology partners. Introducing the world to the Internet of things. Features, new developments, and web-application – overview of a big server-based solution update. Smart process helping flespi team to effectively fix protocol inconsistencies and make users happy.